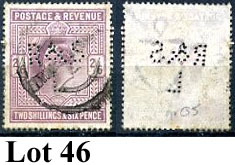 This auction closed on 3rd January 2019. 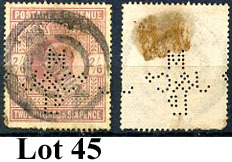 Bids may be submitted by post on a bid form or by email. 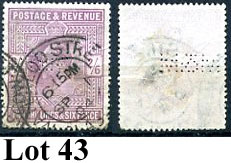 Email bidders should include their address and method of payment and list bids in lot number order. 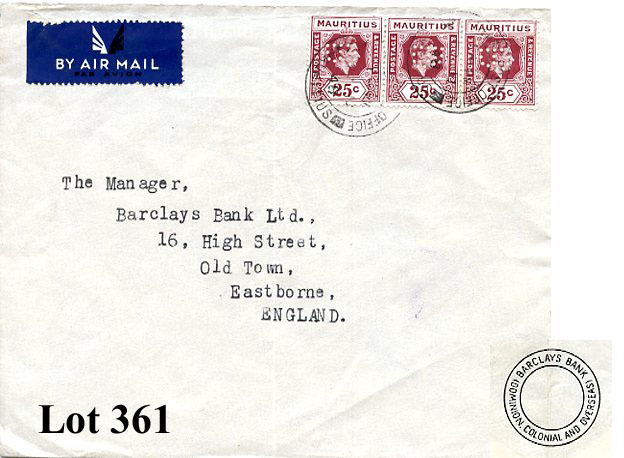 All information should be given in the body of the email and not as an attachment. 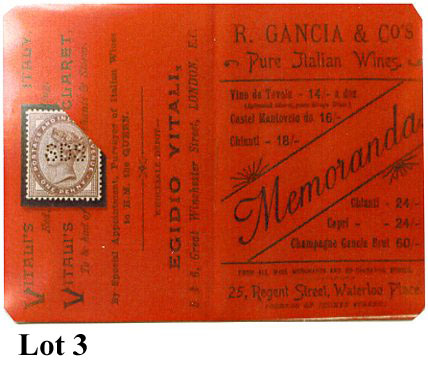 Telephone or ‘Buy’ bids are not accepted. 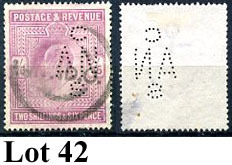 All reserves are expressed in £ (GBP). 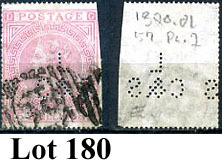 Those lots with a # after the lot number have an illustration available, which can be viewed by clicking the lot number to open the illustration in a new tab. 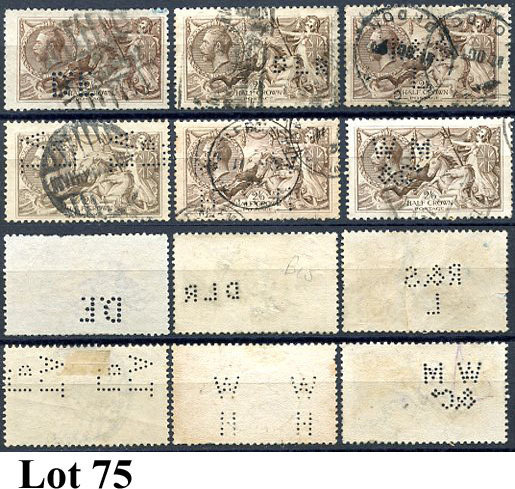 Each of these lots weighs around 2kg (over 2kg when packaged) so bidders for these lots should note that postage will be expensive. 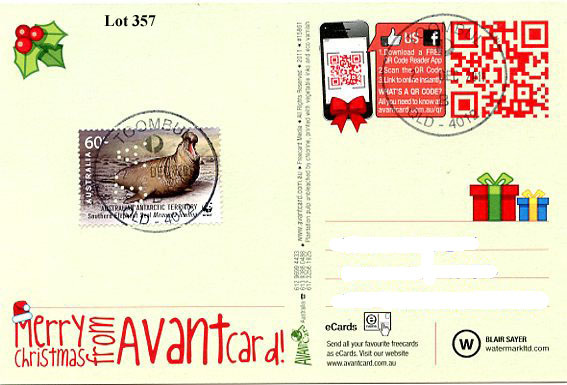 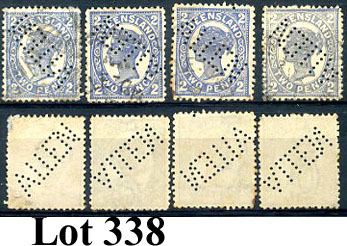 Potential bidders should email the auctioneer well before the auction closing date for an indication of the likely postage cost. 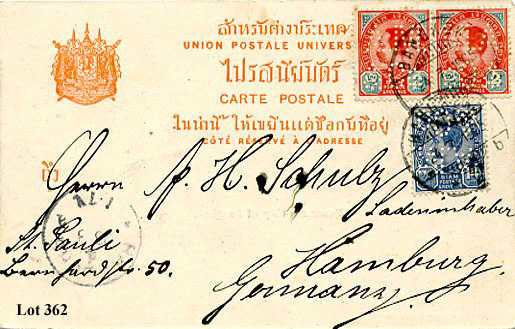 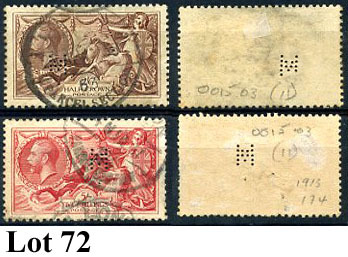 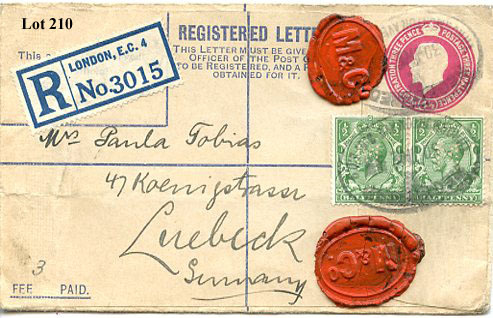 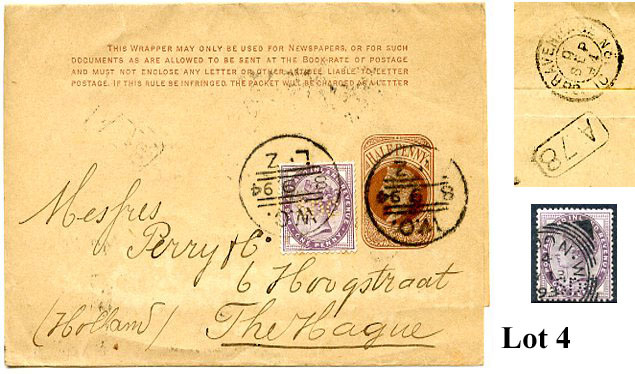 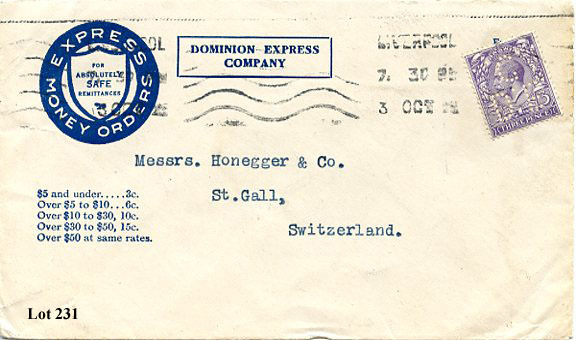 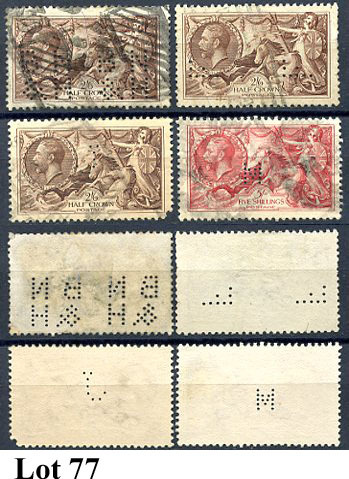 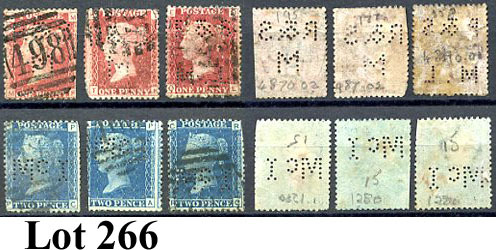 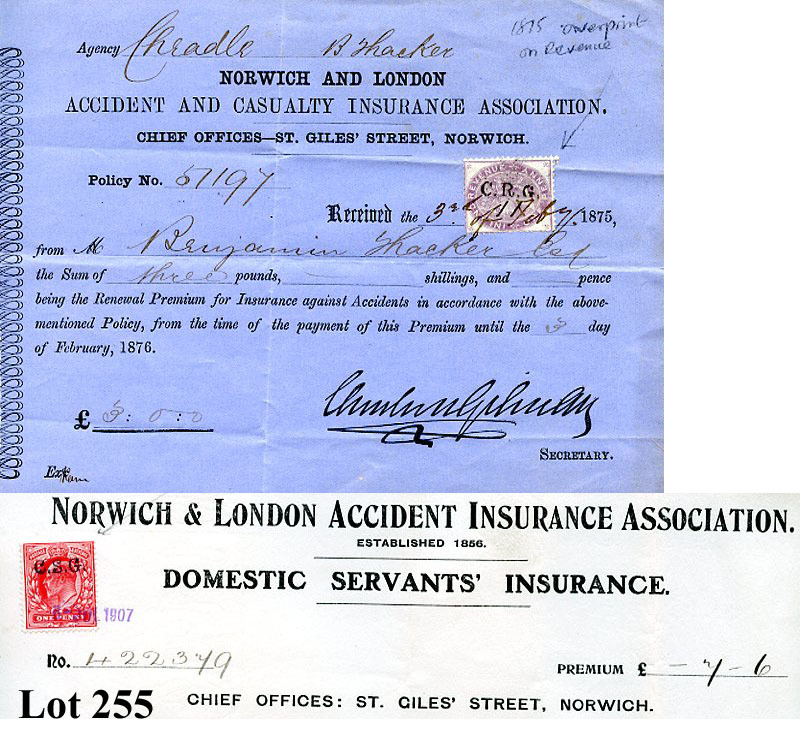 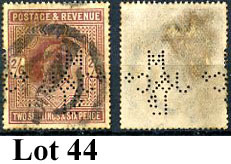 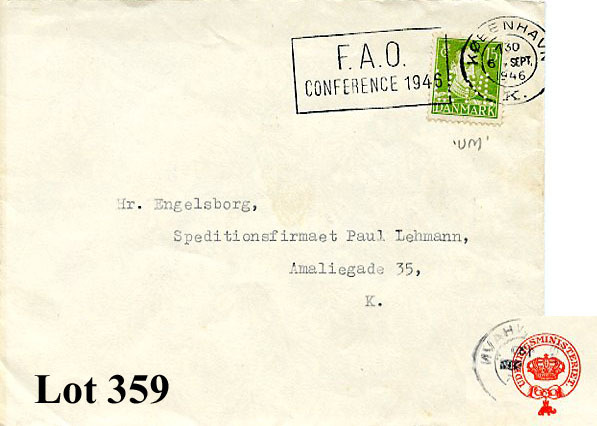 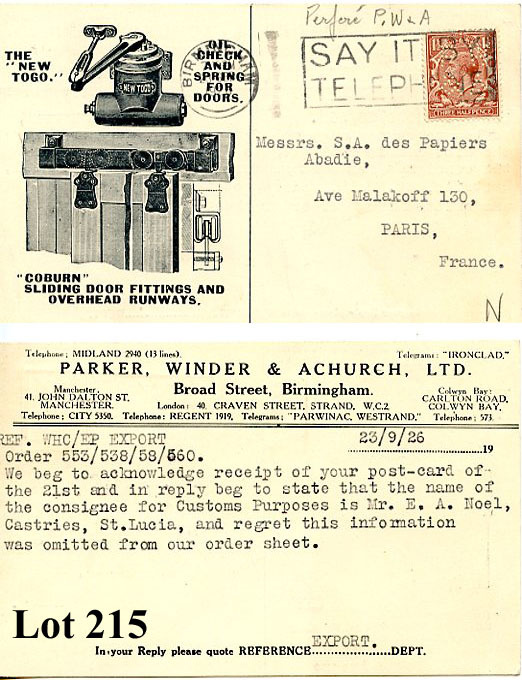 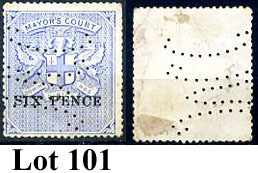 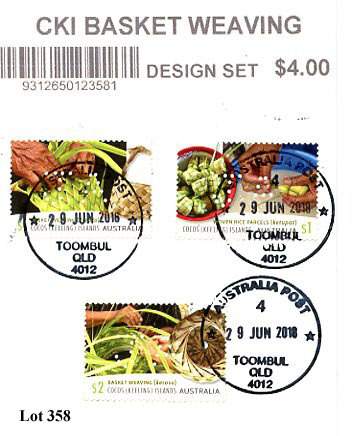 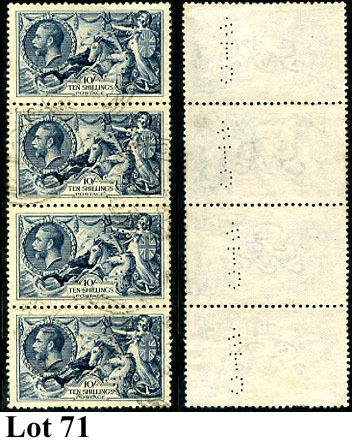 Although perfins were intended to deter theft of stamps that wasn't always successful. 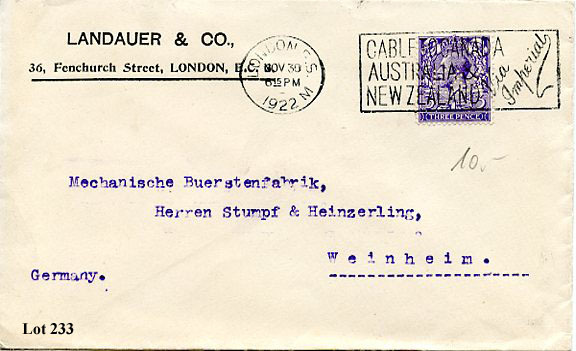 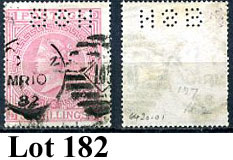 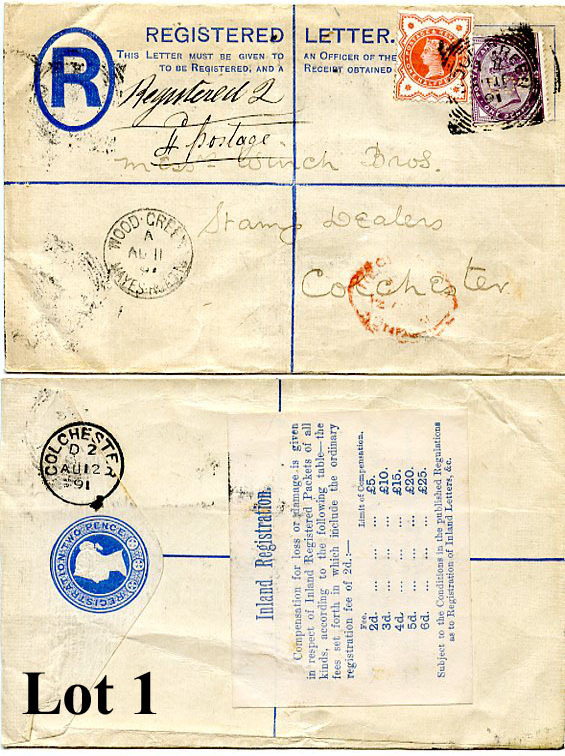 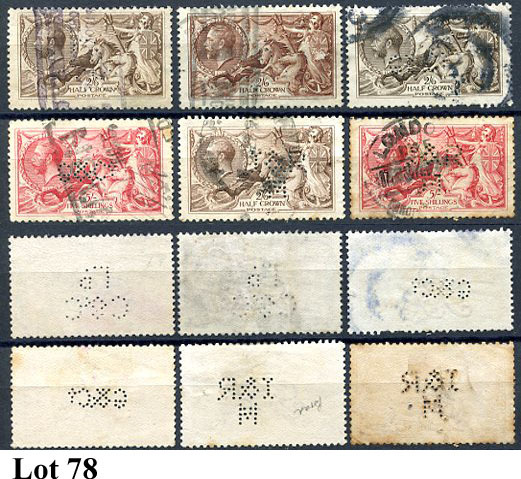 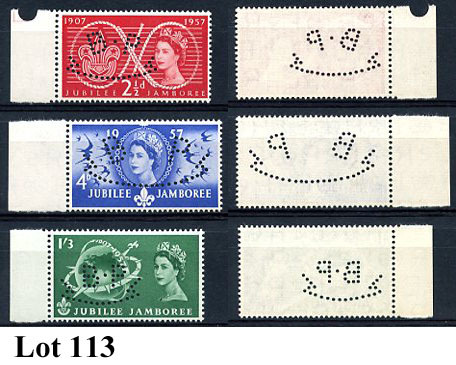 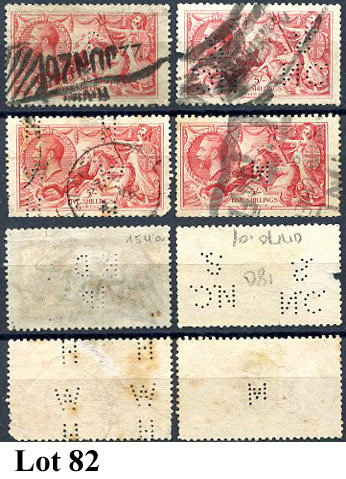 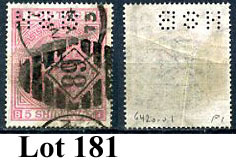 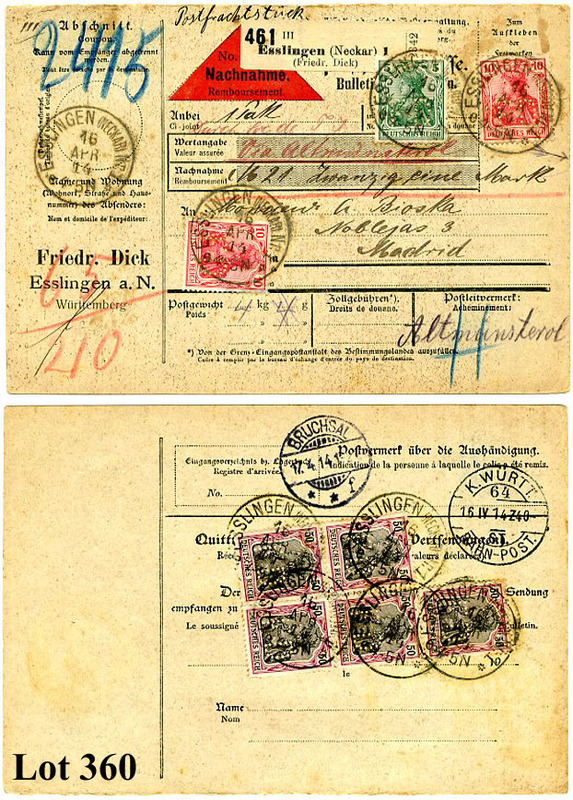 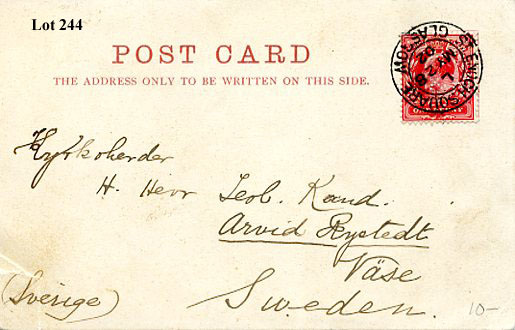 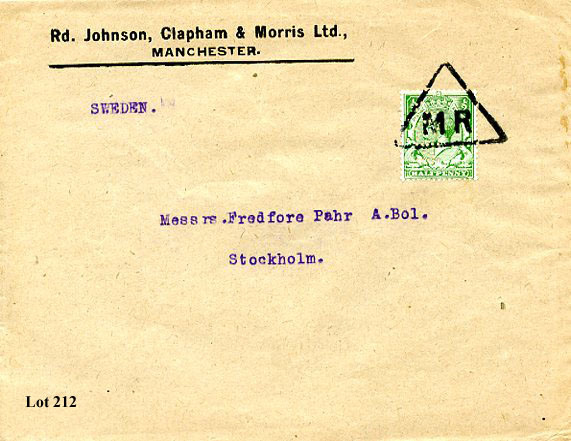 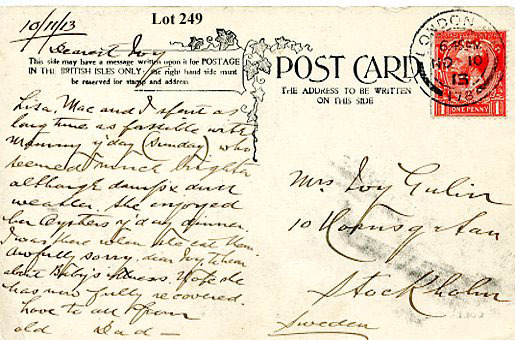 The following 9 lots are all picture postcards with a perfinned stamp with probable personal use.